It is possible to export a QuickTime movie with lossless video compression and transparency by using specific compression settings. In the Video section of the Movie Settings dialog, select Settings. 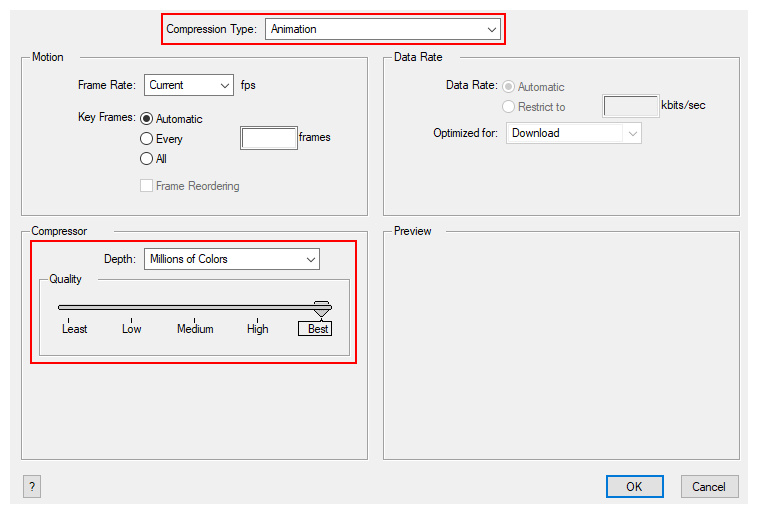 In the Standard Video Compression Settings dialog, set the Compression Type to Animation. In the Compressor section, set the Depth to Millions of Colors+ .